One of the 5G network will be a speed of 100 megabits per second for residents of large cities. Telecom giants could team up to improve network service, and trump London. The Moscow mayor's office is in talks with a consortium of mobile operators over the possibility of developing 5G networks, the Kommersant daily reported on April 7. The government is determined to make the project an attractive investment for the operators and hopes the Russian capital will have 5G networks in 2020. Moscow’s telecom market is divided between four major players: Russian companies Megfon, VimpelCom, and MTS, plus European Tele2 – which entered the fray in 2015. A query from RBTH about a 5G consortium received an optimistic response from Megafon and Tele2, but VimpelCom and MTS decided not to answer. "The consortium may lay the foundation for the joint development of this technology by all the operators," said Konstantin Prokshin, head of strategic communications at Tele2. The support of the authorities is important for telecom operators because such issues as equipment deployment and power supply can often be solved only with the government’s help, explained Yulia Dorokhina, head of the press service at Megafon. City of London Corp., which runs London's financial center at the municipal level, has announced its plans to switch to the 5G standard as soon as it becomes available, writes The Financial Times. The company has signed a multimillion dollar wireless Internet upgrade contract with Cornerstone, which is owned by the Vodafone and O2 telecom operators. Global capitals will be competing with each other over which of them will become the first to switch to 5G, said Konstantin Prokshin. 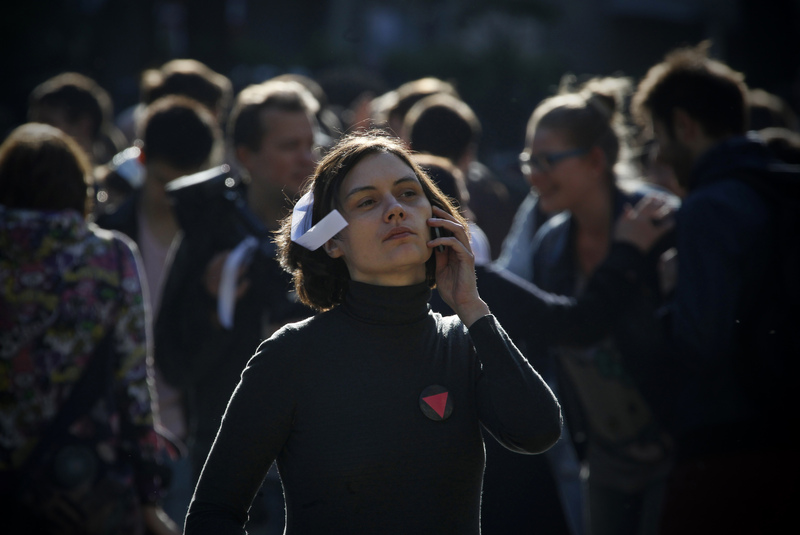 The pace at which new technologies are introduced suggests that Moscow can indeed become one of the leaders in the development of 5G, he added. "Moscow's mobile market is one of the most developed in the world, with a low average cost of services and high quality," Prokshin pointed out. During the 2018 FIFA World Cup in Moscow and St. Petersburg, Megafon plans to set up 5G test zones, Yulia Dorokhina said. "One of the main advantages offered by the new network is its huge capacity. The client receives high-quality signal in places of mass gathering of people – stadiums, railway stations, traffic jams," she added. Exact 5G specifications are still being developed, but one of them – as identified by the Next Generation Mobile Networks alliance – will be a speed of 100 megabits per second for residents of large cities. "So far, some disparate research experiments have been conducted. What exactly the 'fifth generation' will provide is not quite clear," said Vladimir Korovkin, head of Innovations and Digital Technologies at the Moscow School of Management Skolkovo. He added that the focus of 5G developers is not to increase the bandwidth of the channel, but to provide a guaranteed high-speed signal and density of coverage. "Both these features are important for mass use of M2M (machine to machine) networks," Korovkin explained. One of the crucial questions is who will be producing the technical equipment and how the link to international networks will work. For the first time, Chinese companies, in particular Huawei, are taking an active part in creating a new standard, Korovkin pointed out. For example, Megafon has successfully tested mobile data transmission at 1 Gbit/s using Huawei equipment and at 5 Gbit/s during network equipment tests with the Finnish company Nokia, Dorokhina said.